If you have ever had any type of buffalo chicken dip (will post my recipe soon!) then you know it’s pretty much like crack. Once you have that first bite you just can’t stop! 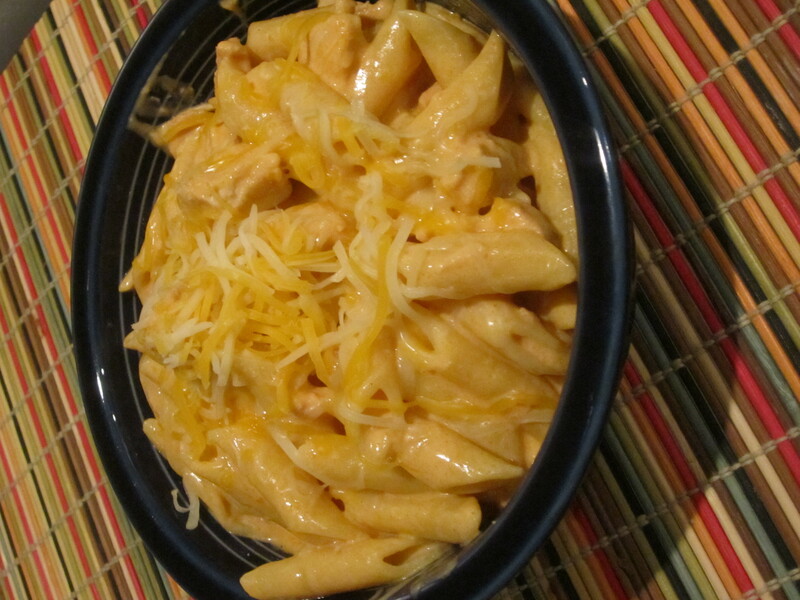 I found this awesome buffalo chicken pasta recipe and it reminded me so much of the dip, that I had to try it. You know what else was so great about this recipe? Its a crockpot recipe!! Perfect for long days and no time for real cooking! This pasta dish ended up being a HUGE hit for us. If you’re a fan of the buffalo chicken dip or even delicious traditional buffalo chicken wings – then this is a must try! 1. Add cream of chicken soup, buffalo wing sauce, and raw, diced chicken to crockpot. Mix well and make sure that all pieces of chicken are covered in the sauce. 2. Cook on low for 7-8 hours or high for 3-4 hours. 4. While you are waiting for your pasta too cook, turn your crockpot on low (if it isn’t already there) add the sour cream, ranch dressing. Stir until well mixed. 5. Once pasta is cooked, mix with buffalo chicken sauce. Top with shredded cheese. Enjoy!